As a thank you to my friends, clients, neighbors, and the Erie community, I’m giving away some awesome holiday prizes! These can be used for yourself, re-gifted to a friend, or donated to someone in need. I will pick one winner per day for 12 days! 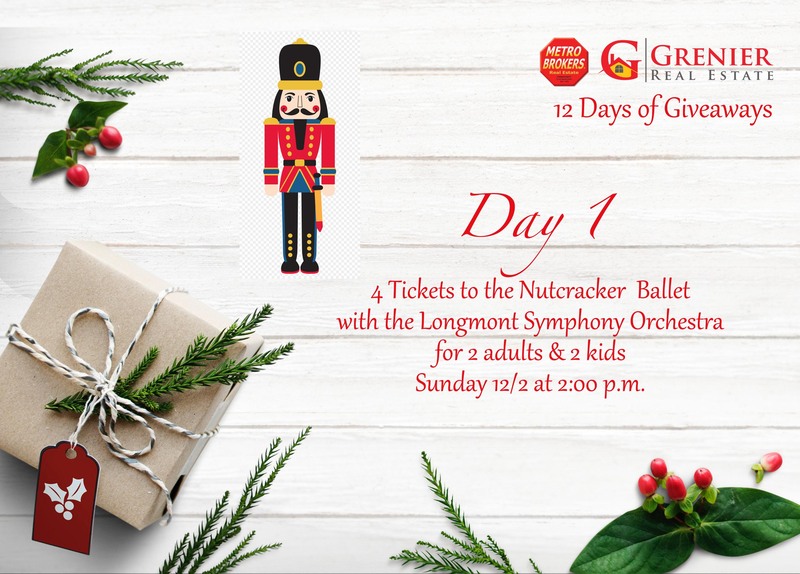 I’m starting a day early because the first prize is for the Nutcracker Ballet in Longmont on Sunday 12/2 at 2:00 and I want to get this ball rolling so everyone gets a chance to win. I’ll pick a winner by Saturday 12/1 at 5:00 pm! 3. And COMMENT with your favorite holiday song in the comment section below. I’ll put everyone’s names into a hat and draw one by 5:00 pm each day. One entry per person per prize. If you win and you can’t use the prize, let me know and I can draw another name, or we can donate it to someone in need. 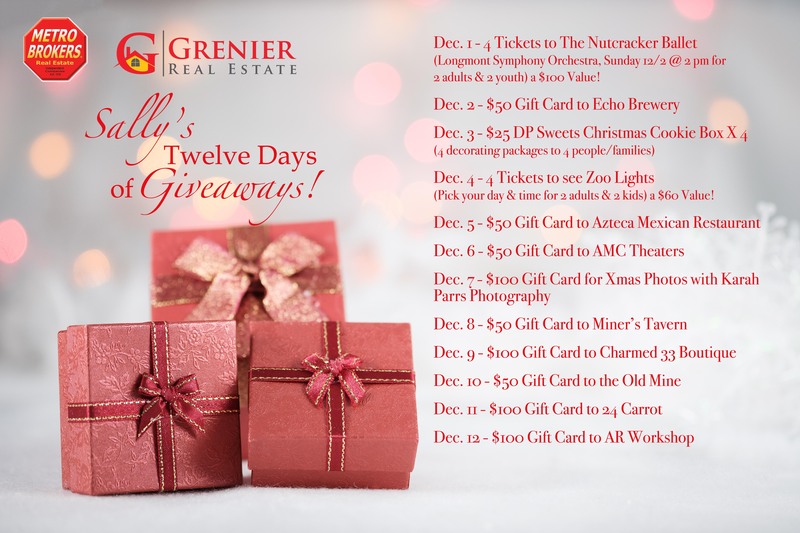 Here are the 12 Days of Giveaways! Dec. 4 – 4 Tickets to see Zoo Lights at the Denver Zoo, a $60 value! Dec. 7 – Family Xmas Photo w/ Karah Parrs Photography, a $100 value!